Snail Sudoku puzzle type appeared in Oğuz Atay Puzzle Contest (OAPC)-2 championship and The Last Sudoku Competition Before World Sudoku Championship. After solving one Sudoku of this type one will realize immediately that this more of puzzle type than a Sudoku. However this is named as Sudoku in the many championship this puzzle type. 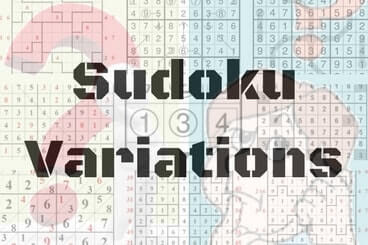 So I am retaining the same name Snail Sudoku in at Fun With Puzzles website. Fill the grid with digits 1~4, so that each digit appears exactly once in every row, column and every 3x3 spiral. Digits should be placed orderly in the spirals, from the entrance to the center. The numbers outside the grid indicate the first seen number from that direction. 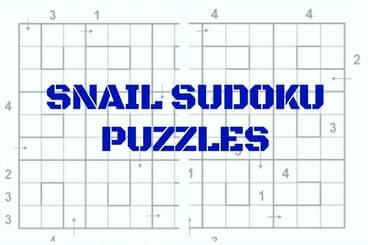 I have created following Snail Sudoku puzzles and posted it on Fun With Puzzles website.